STUART VEVERS SENDS COACH NEON! Home » Latest News » STUART VEVERS SENDS COACH NEON! Ok, so by now you should hopefully understand, I have a slight love for Coach. Stuart Vevers the Creative Director can only be described as a bloody genius! Having track record of being named Accessories Designer of the Year by the British Fashion Council several years ago and has turned the accessories market around for labels like Calvin Klein and Mulberry. This British beauty, Stuart joined American label Coach in hope to turn it around – and guess what? Coach is back! 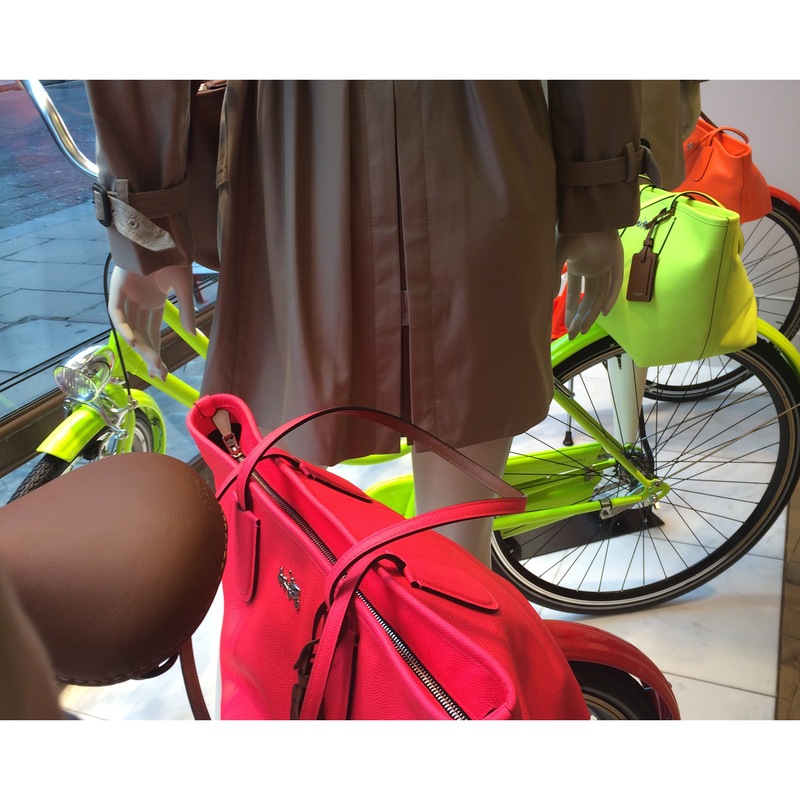 I went into the Coach store on London’s Bond Street last week to make yet another outlandish purchase and noticed NEON – everywhere! Injecting fun, optimism and an original craftsmanship this technical glow into the winter season lands a limited edition collection of fun! 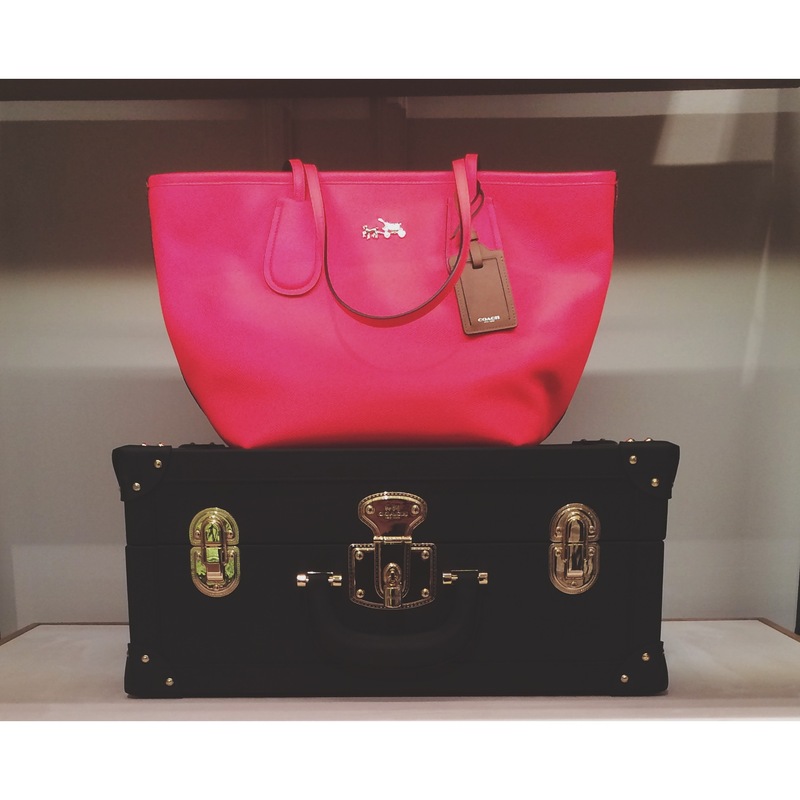 Taking the spirit of authentic Coach, with its rich saddle-colored leather, and explodes it with a playful riff on neon. “Bubbled” hardware coated in neon rubber, neon binding and neon trims make a surprising juxtaposition with Coach’s signature style. Natural saddle-colored leather on a family of downtown bags and accessories that includes, for the first time, a leather-and-neon-trimmed C.O.A.C.H. bicycle – which in my eyes is way better than a boring blue Boris Bike! Visit Coach AW15 Menswear review here! This entry was posted in Latest News and tagged accessories, british fashion council, coach, fashion, neon, stuart vevers. Bookmark the permalink.